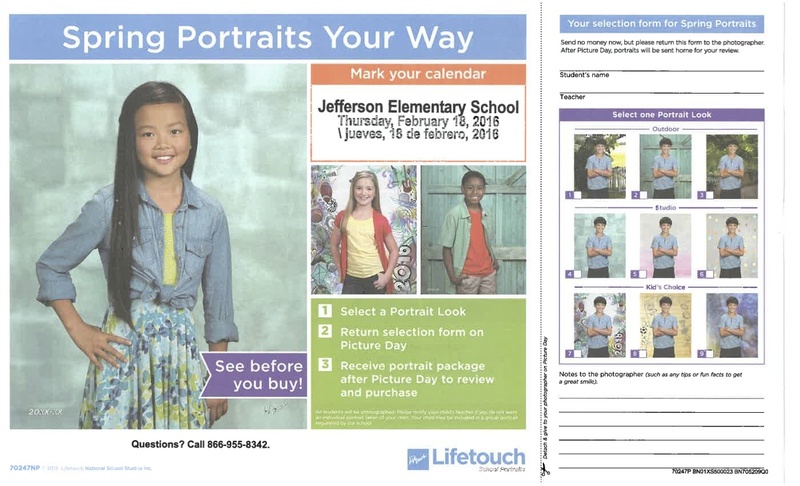 Jefferson Spring Picture Day will be Thursday, Feb. 18th. You may preview pictures before deciding to purchase. 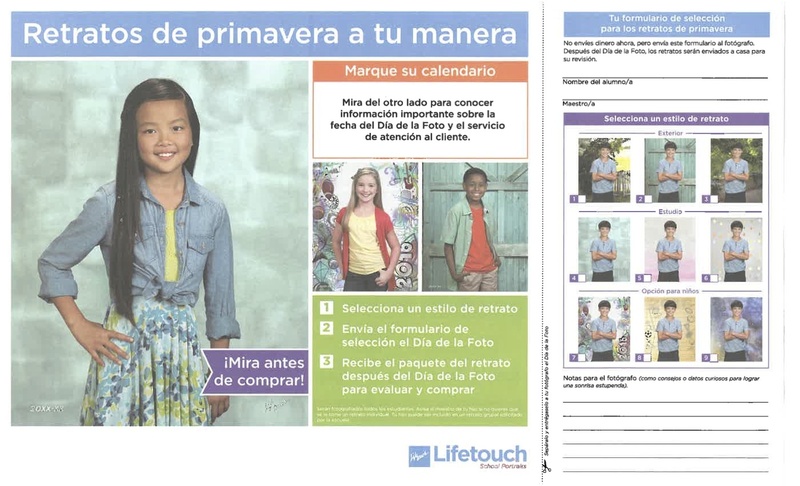 Please make your background selection on the forms sent home with students and return to school on or before picture day. Copies of the forms are below.